United States Grand Prix 2016, Austin, Tx. 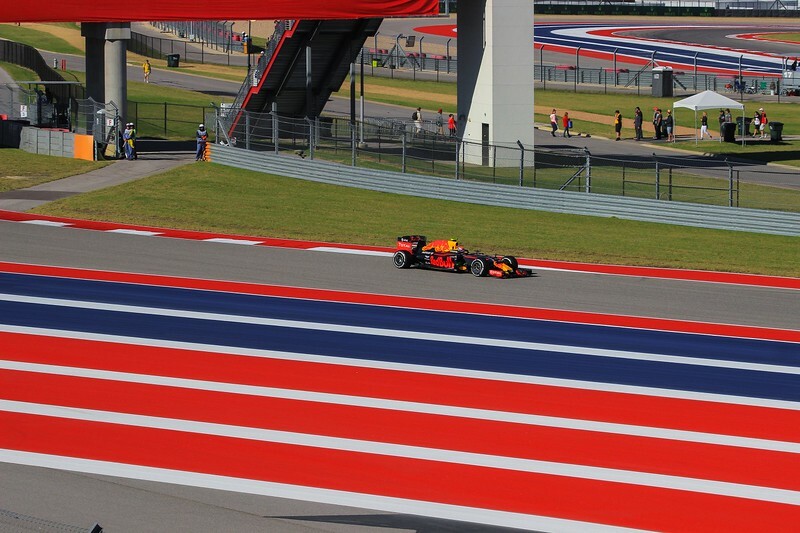 Images here include the October 2016 U.S. Grand Prix F1 race from Austin, Texas plus a few laps by historic race cars from Formula One days gone by. All modern F1 car photos were taken from a grandstand in front of the "Esses", three high speed zigzag turns that stress the tires and drivers to the limit at 3.5 lateral Gs each way. Car speeds in that stretch were in the 120 to 150 MPH range. Wider angle view of the race course striping.